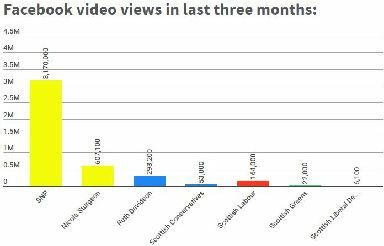 The pro-independence party is clocking up millions of video views on Facebook. The SNP's dominance of Scottish politics is clear to everyone. 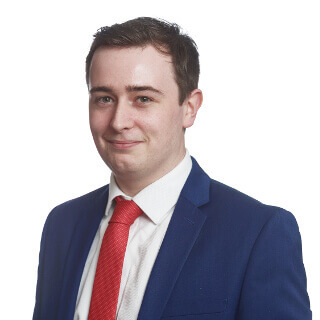 During the past decade the pro-independence party has clocked up three successive victories at Holyrood, won a majority of Scottish seats at Westminster twice and the country's councils are packed with more than 400 SNP councillors. The only thing the party so far failed to clinch is its founding aim of an independent Scotland. 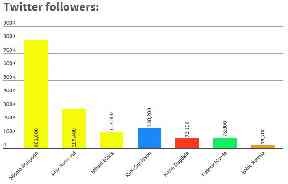 While the Nationalists have been clocking up votes, they have also accumulated hundreds of thousands of likes, followers and subscribers across social media. No other Scottish political party comes close to matching their online influence. As the readerships of newspapers continue to tumble, more and more Scots are learning of political developments not through traditional news stories written by journalists but from party press releases plus videos created by political propagandists. Over the last two years the SNP has employed staff solely to create content for its online feeds. The investment is paying off by any measurement. 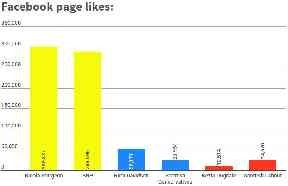 As you can see from the chart above, the SNP and Nicola Sturgeon's dominance of Facebook is clear. This huge base of active online support means when the party posts on the social networking site what they say is amplified louder and travels faster than their rivals. Both former leader Alex Salmond and SNP MP Mhairi Black also boast Facebook accounts with likes into the hundreds of thousands, too. While Ruth Davidson commands more than double the number of page likes than the party she leads, no Scottish Labour figure comes close to the relatively modest 24,620 likes accumulated by their party. Perhaps the lack of a dominant and long serving leader in recent years has led to no one Labour politician gaining a foothold on Facebook. 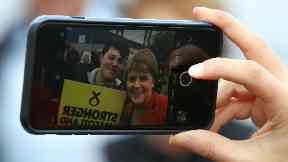 Now the SNP has built an audience online, the party is looking to eat into the online video market. By law, political parties have a limited number of opportunities to advertise on television each year. Online it is limitless. Currently only one party is winning the online broadcasting war. Facebook is not the only platform the SNP and its politicians are outgunning their rivals on. Twitter, although not used by as many voters as Facebook, is key to influencing how the news is framed by its abundance of journalists, MPs and MSPs. The First Minister regularly sets out her opinion on live political issues in tweets, sometimes before official statements have been released by the Scottish Government. More and more Scots are getting their news from their favoured social media apps. No matter how the SNP perform at the ballot box in the years ahead, their online influence is likely to strengthen rather than fall by the wayside. As newspaper circulations continue to dwindle, the influence of political parties' social media reach and their electoral results are likely to become more intertwined. The gap between the SNP and Scotland's other four significant parties online is enormous. How to close the chasm must surely be one of the key concerns for opposition parties. If they fail to do so the country's online conversation will continue to have one dominant voice growing louder with every like, follower and subscriber.